Jay Forrester claimed that there had been more important innovations and advances made in digital computing between the years 1946 and 1956 than in any decade since. A bold statement for sure given computing’s audacious trajectory of mind-blowing feats of digital wizardry since 1956. Few ever challenged Jay, but when they ever did, he would easily rattle off an equally mind-blowing list of proofs. He resolutely maintained the digital prominence of that decade right up until the time he died in 2016. Jay was very friendly with all of the digital computing adventures from that ten-year period. 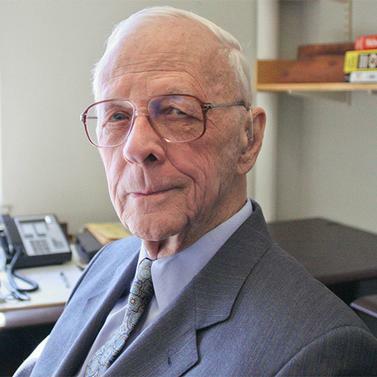 Together with his good friend and colleague, Bob Everett (Bob died in 2018), and their small band of feisty engineers, Jay and company are credited with originating most of the innovations and advances that he would rattle off as proofs. Roughly from the summer of 1946 to 1949, Jay, Bob, and their engineering colleagues built the first real-time, general-purpose, electronic digital computer, which they named Whirlwind. In 1949, they launched Whirlwind’s first binary bit out into the world, and with it the world began to go digital. Nothing has been the same since. 2019 is the 70th anniversary of Whirlwind’s very first digital ping, and in remembrance of that world-changing event, The Untold Story of Everything Digital (due out in 2019) will tell the tale of how it all came together. The digital adventuring while building Whirlwind from 1946 to 1949 is covered in my book from 2010 titled: Bright Boys: The Making of Information Technology: 1938-1958. Both Jay and Bob, especially Jay, as well as Jay’s wife, Susan, helped mightily with my Bright Boys manuscript, but we knew that much of the story, because of publisher limitations, was headed for the cutting room floor. As things turned out, I had to eventually cut an additional 6,000 words from the manuscript before it went to print. Since Bright Boys covered the much broader storyline about the making of Information Technology from 1938 to 1958, we all knew that something had to give, so lots of fascinating material had to be edited down or never made the cut at all. With the advent of the 70th anniversary of the world going digital, I now have an opportunity to tell more of the Whirlwind-only side of things (1946-1956), and as such, resurrect many of the cuttings left behind, as well as some intriguing plotlines suggested by Jay and Bob. My publisher Taylor & Francis, and my wonderful editor, Saf Khan, have asked me to produce a new book, which we’ll call, The Untold Story of Everything Digital, with a subtitle of Bright Boys, Revisited. With this new retelling of the story, the book will exclusively hone in on Jay’s favorite years: 1946 to 1956. For Jay and Bob, those years cover their post-war work together in Gordon Brown’s Servomechanism Lab at MIT, from which sprang Project Whirlwind. From humble beginnings in an old laundry building, Project Whirlwind, would quickly grow to rival in size the Manhattan Project, as well as catapult its gutsy band of creators from digital mavericks to founders of the age of computing. 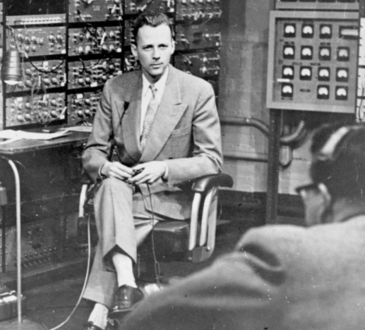 Jay would leave what he called the “computer wars” in 1956, and take up residence in MIT’s Sloan School, where he would go on to invent System Dynamics. The thread of innovation and invention stretching from Whirlwind to System Dynamics will be interesting to explore. Bob would see Whirlwind transform into the SAGE air defense computer; and then, in 1969, would become president and CEO of the MITRE Corporation until 1986. The culture of digital innovation that he brought to MITRE is cherished there still. Jay and Bob received the National Medal of Technology and Innovation in 1989. Whirlwind’s birthplace, the Barta Building, 211 Massachusetts Avenue, Cambridge, MA, was finally recognized by the IEEE in 2012 with a Milestone plaque. Whirlwind was carted out of the Barta Building in 1959 to be used by a private company; only pieces of the great machine exist today, in displays at the MIT Museum and the Computer History Museum in Mountain View, CA. Jay loved hard problems, and building a digital computer was the hardest he’d ever faced. Unlike all other machines, he would often say, there’s no room for error with a digital computer. Even the smallest of errors can mean the largest of catastrophes. In building out the first digital computer, Jay and his bright boys stumbled over new ways of making mistakes all the time. Confronting the unknown and succeeding at making the impossible possible was a daily part of developing Whirlwind. However, continually bending technology to meet the needs of their digital computer made them stronger, more resilient and much more inventive. And they needed it all to pull off building Whirlwind. “Innovation means trying ideas outside of the accepted pattern. It means providing the opportunity to fail as a learning experience rather than as an embarrassment. Luckily, they won all the battles that Whirlwind threw at them, and became famous from their victories. As one book reviewer put it after reading Bright Boys: “Every time you book an airline ticket, retrieve cash from an ATM machine or even thaw a steak in a microwave oven, you owe a debt to two young men who in the summer of 1946 conceived the first real-time digital computer [and] launched the country on one of the greatest and most successful projects in the history of American engineering.” That’s Jay, Bob, and the bright boys. The Untold Story of Everything Digital is their story.